In “My home, in Libya” director Martina Melilli shows the intimacies of colonialism, war and migration, amidst stories that remain untold. My home, in Libya, featured previously at e.g. 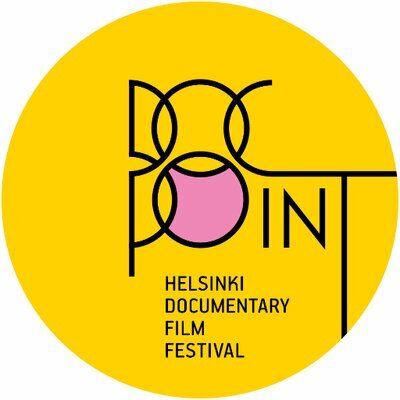 the Locarno Film Festival 2018, is featured now also at DocPoint Helsinki Documentary Festival 2019. The film starts with an attempt to put some pictures in order. An intimate collection of familiar faces scattered across two continents and North African architectures, forming both joyful and painful journeys, which, however, cannot be completed. This unfinished visual recollection, which seems to escape the director and protagonist’s own gaze, is the first of the three recurrent visual landmarks that punctuate this touching and imperfect documentary. It represents the theme that runs through the whole film: Italy’s inability to acknowledge and speak about its colonial history. In a country that officially apologized, paid financial reparations, and in 2008 even signed a “Friendship Treaty” with the state it had brutally occupied, Libya, this may seem paradoxical. Yet this “colonial aphasia”, or inability to speak, as theorized by historian and anthropologist Ann Stoler in her study of French colonialism, is so deep and pervasive that it still underlies much of Italy’s political and social landscape. The theme runs through the whole film: Italy’s inability to acknowledge and speak about its colonial history. In her late twenties, while leading the transnational life of an artist between Padova in northern Italy and Brussels, director Martina Melilli sets out to investigate and visually narrate the story of her father’s family. Her grandparents were among the over 44,000 Italian residents of Libya, mostly descended from the colonizers that had settled in the country first through the occupation of the provinces of Tripolitania and Cyrenaica, in 1911–1912 after the military campaign known as Italo-Turkish War, and, secondly, but more significantly, during the fascist colonial rule of 1934–1943. Soon after Colonel Muammar Gaddafi seized power in 1969, the Italians of Libya were expelled. In 1970, Melilli’s grandparents and her young father arrived at Naples’s port alongside thousands others forcefully repatriated. They were initially settled in a nearby emergency refugee camp and met with some hostility – one of the several forgotten examples of displacement in Europe’s contemporary history. Moved by her desire to dig into the story of her grandparents’ love, marriage and forced repatriation, and its impact on her family relations, Melilli hopes to see the places where they used to live in the centre of Tripoli, the Libyan capital. Her attempt to visit the country, however, is halted by war and borders, as Gaddafi’s repression of the Libyan uprising of the early 2010s causes an UN-backed no-fly zone declaration, leading to a destructive NATO intervention. Unable to obtain a visa, the artist remains stuck on the northern side of the Mediterranean. She cannot but look at that sea turned into a barrier – a deadly contemporary frontier indeed for many people. This watery border – not without some rhetorical, sentimental indulgence – is the second recurring visual landmark in the film. The third are the streets and squares of Tripoli. Sometimes referred to in Arabic as “the bride of the sea” – as in fact are many other Mediterranean coastal cities – Tripoli represented by the movie is a city rendered almost spectral by war, where old colonial buildings act as an empty background for the director’s family memories. It appears as a notably postcolonial city devoid of political life, and very different, for instance, from the hurting yet vibrant anti-colonial Algiers, which European publics have learned to know through works of art such as Gillo Pontecorvo’s movie Battle of Algiers (1966, banned for 5 years in France after its release), or the songs of provocative French rapper Mèdine. As viewers of My home in Libya, we are only allowed to see Tripoli from a car’s window. The vehicle is driven by Mahmoud, a Libyan engineering graduate, whom the director had contacted through common friends to act as a local collaborator, bypassing the lack of access to the war-torn country. Through the exchange of instant messages between the two, the documentary provides an intimate and tender, but also geopolitically charged account of contemporary wars and migrations. In it, colonial history is omnipresent, yet mostly uncommunicated. Avidly explored, it remains somehow unspeakable. This brings the viewer back to aphasia, which Stoler argues, is different from simple “forgetfulness”, or repression. It affects knowledge and communication, preventing us from finding words that can fully express the enduring relevance of colonialism and coloniality. It is about the “affective practices that both elicit and elude recognition of how colonial histories matter and how colonial pasts become muffled or manifest” in the present. The disordered, incomplete collection of pictures, the frightening sea, and the spectral emptiness of post-colonial Tripoli in My home, in Libya can all be read as symptoms of this aphasia. 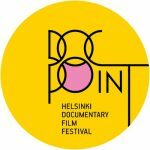 Despite its powerful images, daringly intimate tone and emotional intensity, which make the documentary worth watching, Melilli’s work cannot but reproduce this impossibility to communicate. In fact, it is the aphasia of a whole political community. Despite recent important historiographic and cultural analyses by some of its intellectuals and scholars, Italy is still haunted by the “total denial of colonial atrocities, the lack of debate on colonialism, and the survival, in the collective imaginary, of theories of justification”, as historian Angelo Del Boca writes describing the country’s relation to its former colonies. Colonial relations, past and present, are central to many of the political and social challenges Europe is facing today, also in countries that were historically not at the forefront of colonial violence against the Global South, like Finland. The dangerous myth of a “benign colonialism” seems to also find some echoes in the documentary. While poignantly and effectively showing nuances and complexities, familial memories and intimate dialogues partially conceal historical truth. In these passages, aphasia borders denial. With its delicate visual narrative, My home, in Libya has merit in reminding us that, as European citizens, we must address this aphasia. Colonial relations, past and present, are central to many of the political and social challenges Europe is facing today, also in countries that were historically not at the forefront of colonial violence against the Global South, like Finland. Paradoxically, as Europe’s global economic and political hegemony seems to fade, its unaddressed “colonial present” continues to produce violent effects on the conditions of racialized people, as we see in many European urban peripheries, and indeed in the ways in which such places are represented in the media. At the same time, in countries like Italy, the rise to power of racist populist forces produces new toxic narratives of justification for what theorist Silvia Federici calls recolonization, including military occupation, resource exploitation, and a violent regime of externalized border enforcement and migration control in today’s Libya. Elisa Pascucci is a post-doctoral researcher in the Centre of Excellence in Law, Identity and the European Narratives.